Our third integration services help you integrate data with third-party application with your websites. We can also have wide range of expertise in integrating different domain of third party sources application. In addition to diverse domains such as shipping, payment, travel and social media, evince has a lot of experience working with demand side platforms. To make the website more UI/UX friendly, feature addition and enhancements are current era requirement and this helps in growing your business. Here are so benefits of third-party integrations services. It helps in enhancing your website look and features. It offers ease to the company for concentrate more on their core work. keeps website with current and recent updates. Integrating third party tools and applications in a suitable eCommerce platforms transforms your website into dynamic, seamless to meet business goals. Enhances the retail business productivity with best UI/UX feature base shopping cart. Integrating payment gateway system to the varied e-commerce frameworks. Improvises architecture as per business requirements advanced features. Improves the functionality of the e-commerce application & website with Plug-in and high-end module. prompt- actively present technical support team to ensure smooth maintenance of application and website. Makes the website accessible through varied mobile platforms to enhance the customer experience. Designed online cart that work on varied platforms and fully loaded with features as per business requirement. eCommerce is growing for both the B2B & B2C market. Technology advancements coupled with high increase in the number of smartphones and new payment solutions driving growth in online shopping. Evince efficiently custom eCommerce website and application with extension, Plugging and third party module for customization and maintenance ecommerce website and applications on various framework and platforms. Our experienced Developers are adept in the installation, configuration, development, integration, plug-in development, as well as comprehensive customization. 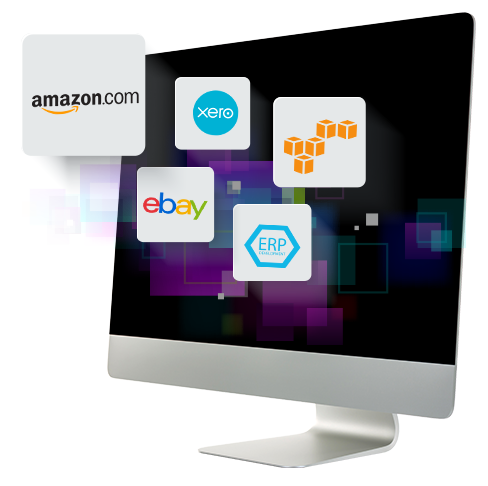 Our team of ecommerce developers at Evince understand ecommerce framework and platforms inside-out. We have delivered complex third party integration projects for our clients & also offered maintenance services.